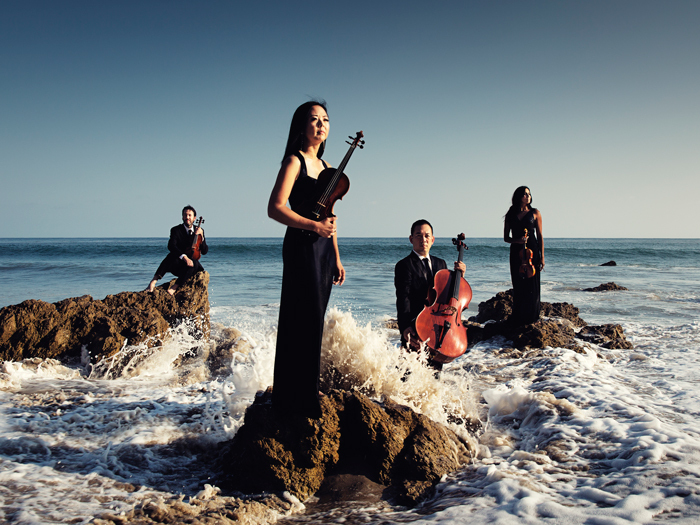 The Lyris Quartet’s Intimate Letters is an inventive new recording project anchored by the Second String Quartet of Leoš Janáček, “Intimate Letters”. The storied piece is complemented by four new works by Billy Childs, Bruce Broughton, Peter Knell and Kurt Rhode, a stellar cross-genre roster of composers who were each asked to write a piece for string quartet in response to the original “Intimate Letters”, often referred to as the composer’s “Manifesto on Love”. The result is a dazzling homage to Janáček’s most ardent quartet. Released on ARS – distributed in the US by Naxos - September 30 on SACD/CD. It will be available on iTunes, Amazon, Spotify, and other streaming services as well. Leoš Janáček’s Second String Quartet, Intimate Letters, inspires four complementary new works by Billy Childs, Bruce Broughton, Peter Knell and Kurt Rohde in an inventive new recording by the “radiant” (Los Angeles Times) Los Angeles-based ensemble. On September 30, ARS will release The Lyris Quartet’s Intimate Letters, an inspired new project anchored by the Second String Quartet of Leoš Janáček, “Intimate Letters”. 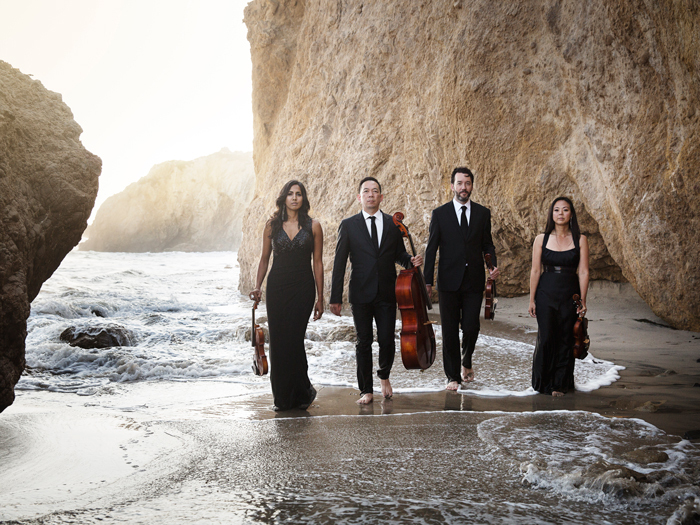 Janáček’s Intimate Letters holds a special place in the repertoire of the Los Angeles-based Lyris Quartet; having been the first work that the group performed publicly and one they return to most often. So it is fitting that the piece serve as catalyst for the ensemble’s first recording. Often referred to as the composer’s “manifesto on love”, Intimate Letters was inspired by Janáček’s near obsessive devotion to his longtime muse Kamila Stösslová (a married woman 38 years his junior) to whom he wrote more than 700 love letters over 11 years. 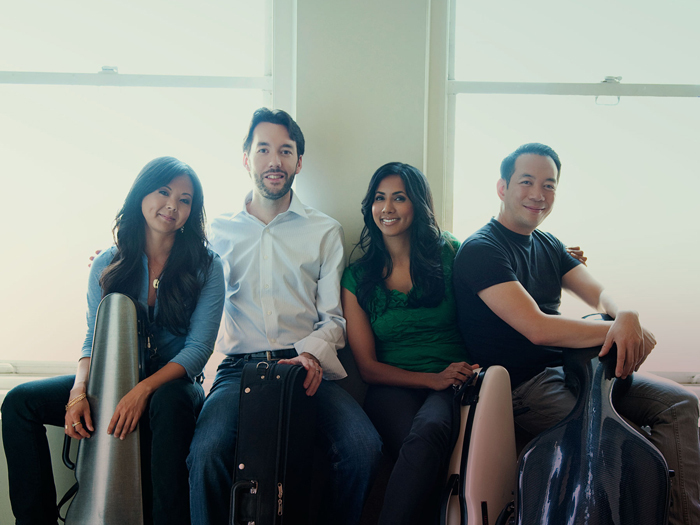 The Lyris Quartet – Alyssa Park (violin), Shalini Vijayan (violin), Luke Maurer (Viola) and Timothy Loo (cello) – are known as faithful champions of new music and are the resident ensemble of the celebrated new-music series Jacaranda in Santa Monica. The Quartet chose to present Janáček’s storied quartet together with four new works inspired by the piece and commissioned for the Lyris by distinguished Los Angeles composers Bruce Broughton, Billy Childs, Peter Knell, and Kurt Rohde. To ensure the recording breathes original life into Janáček’s masterpiece the Lyris brought this cross-genre and and multi-media roster of composers - together, asking each to write a work in response to the original Intimate Letters. The result is a dazzling homage to Janáček’s most ardent quartet. 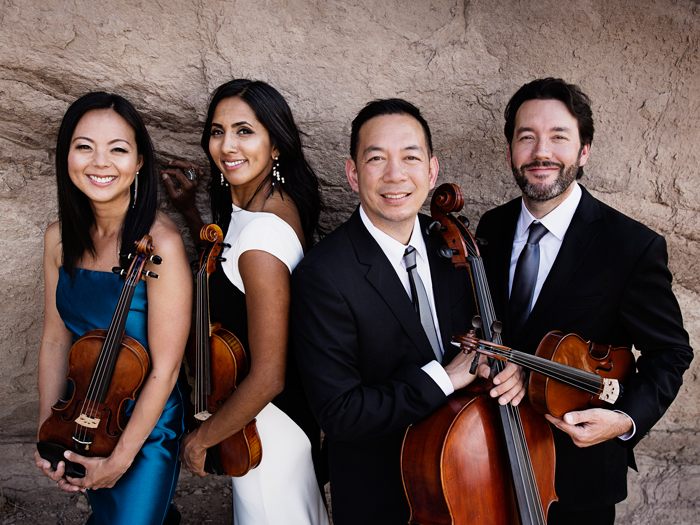 Reflects violinist Alyssa Park: “It is the desire of the Lyris Quartet to present works from the standard repertoire that have great meaning to us while also participating in the creation of new music for string quartet. The idea of asking four composers to create works that would be inspired by either Janáček's string quartet or the actual book of compiled letters resulted in the birth of Intimate Letters as a concept album that perfectly encapsulates that mission." The new works on Intimate Letters make up a rich collection of string quartets, each with vastly varying voices. Yet fittingly, the heated emotional through line of each one seems to tie back to the feeling of Janáček’s own unrequited love for Stösslová. Best known for his film scores, Emmy Award-winning and Oscar and Grammy-nominated Bruce Broughton’s piece Fancies is essentially a rhapsody or fantasia built upon the opening figures of Janáček’s quartet,” Broughton says, “the most obvious being a motor rhythm that reappears throughout the piece. Motivic fragments are gathered and tossed about. A theme eventually appears, but even that becomes fragmented throughout the piece. Therefore, Fancies: a combination of infatuations, impulses and improvisatory inspirations. Go to our media page to see audio and video clips from the new album! Go to our media page to see a fun video of our photo shoot for the album cover. 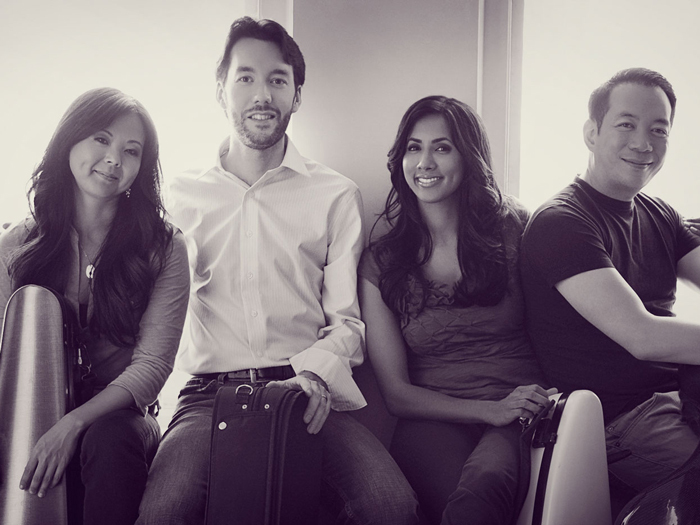 On October 8, the Lyris Quartet will be performing all the works on their new album. The composers will be in attendance and there will be a VIP after party to celebrate the new release! Click here for more info! Click here to see our first review! The Lyris, which is made up of busy L.A. freelance musicians, is, like the legendary Hollywood String Quartet of yore, a labor of love. With each peformance its radiance seems a little more radiant. 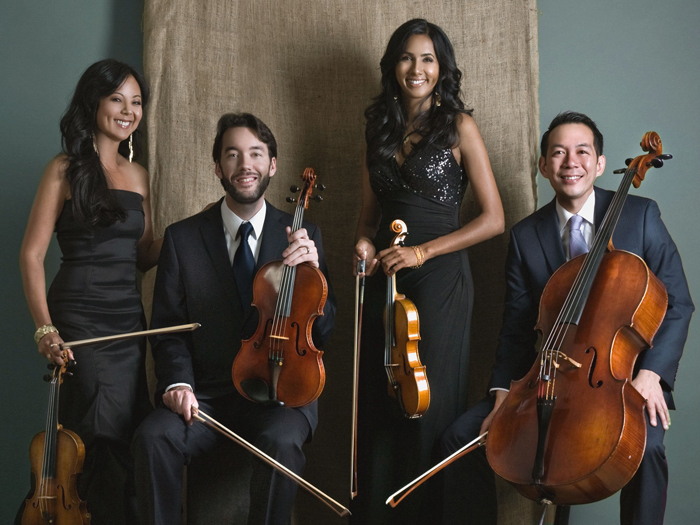 The LYRIS QUARTET described as "radiant…exquisite... and powerfully engaged" by Mark Swed of the LA Times was founded in 2008. 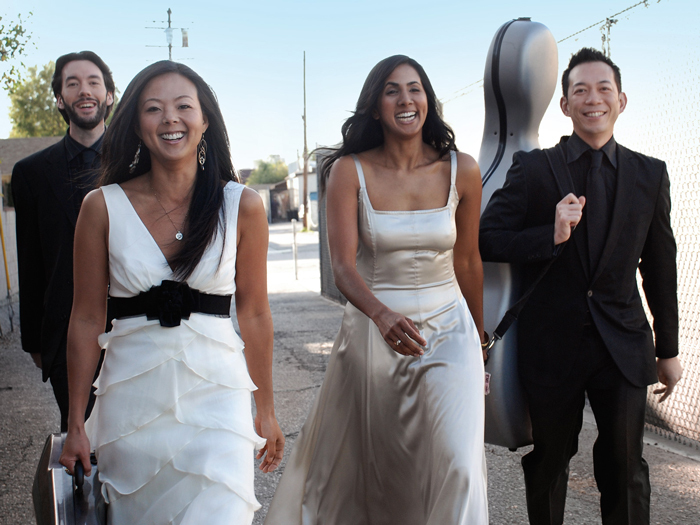 Members of the quartet have won top prizes at the Tchaikovsky International Competition and Aspen Music Festival and have collaborated with renowned artists Natalia Gutman, David Geringas, Martha Argerich, Alban Gerhardt, Boris Pergamenschikov, Guillame Sutre, Myung-Whun Chung, and Richard Stoltzman. Lyris has collaborated closely with composers Krystof Penderecki, Andrew Norman, Oliver Knussen, Steven Mackey, John Adams, Bruce Broughton, Peter Knell, Kurt Rohde, Paquito D'Rivera, Wadada Leo Smith, and Gerard Schurmann. They appeared alongside composer/pianist Billy Childs as part of the LA Phil’s Jazz and World music series at Disney Hall and with Steve Reich at LACMA’s Bing Hall. 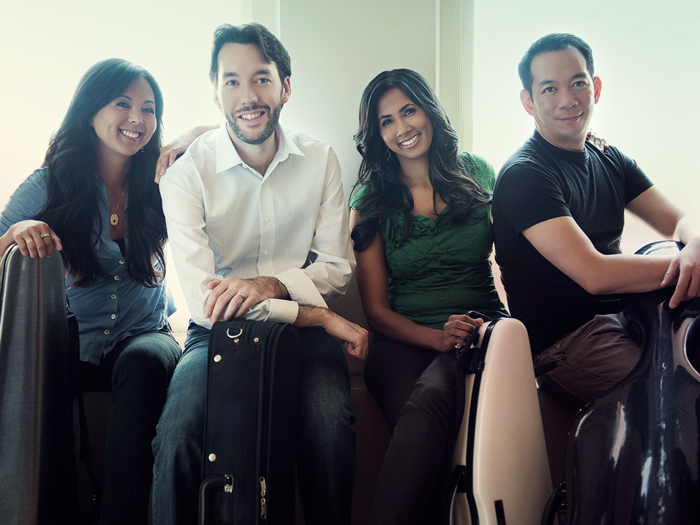 The quartet has appeared throughout North America, Europe, and Asia in a diverse range of ensembles including Grammy nominated groups Absolute Ensemble, Southwest Chamber Music, and Orchestra Ensemble Kanazawa as well as solo and chamber appearances in various festivals such as Ravinia, Brahms Festival in Madrid, Music Academy of the West, Banff Centre for the Arts, Czech SommerFest, and Oregon Festival of American Music among others. This season, Lyris was invited by the LA Philharmonic to perform on their Green Umbrella series and on their tribute concert to composer Steven Stucky. New projects include innovative multimedia concerts with artists Andrew Burke and Ana Prvacki as well as opening for Kraftwerk and Ben Harper. They also gave the west coast premiere of David Lang's "The Difficulty of Crossing a Field". This year will mark their fifth season as the resident ensemble for the critically acclaimed series Jacaranda: Music at the Edge. 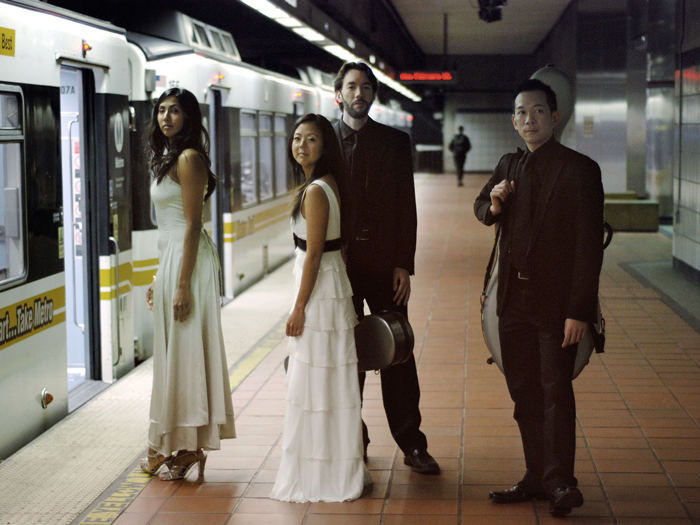 The Lyris Quartet is the founding resident ensemble of the Hear Now Music Festival which focuses on the music of living Los Angeles composers. As part of this series, they have collaborated with and premiered works by Stephen Hartke, Don Davis, Arturo Cardélus, and Veronika Krausas, among others. 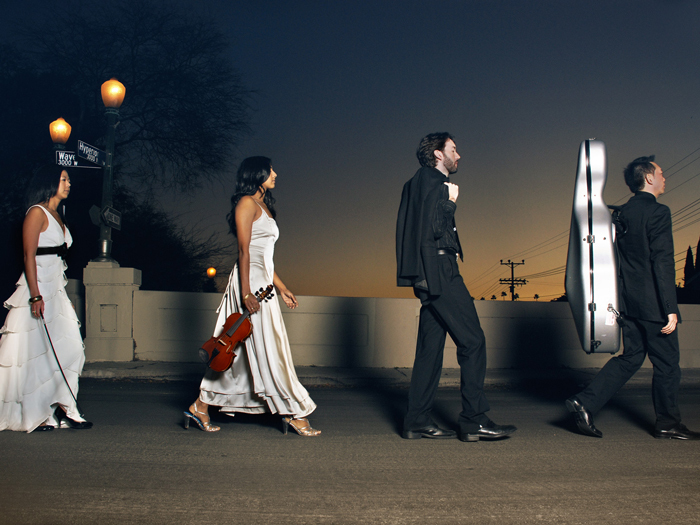 The Lyris Quartet has recorded for Toccata Classics, ARS and Naxos. 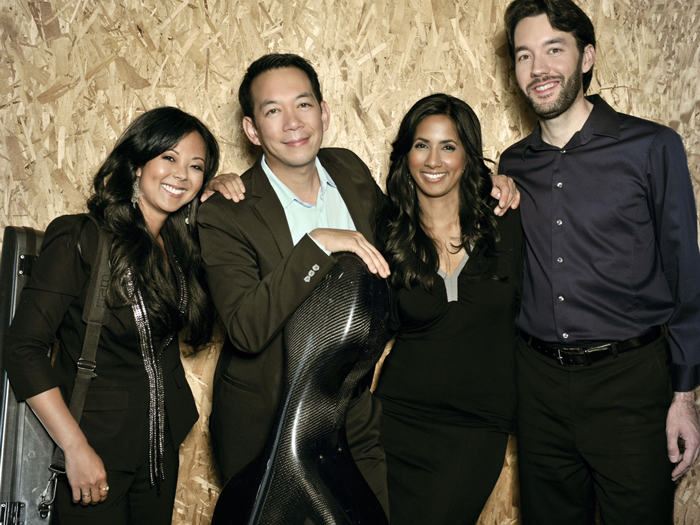 Lyris Quartet...made the Schumann the most arresting of the evening's performances. 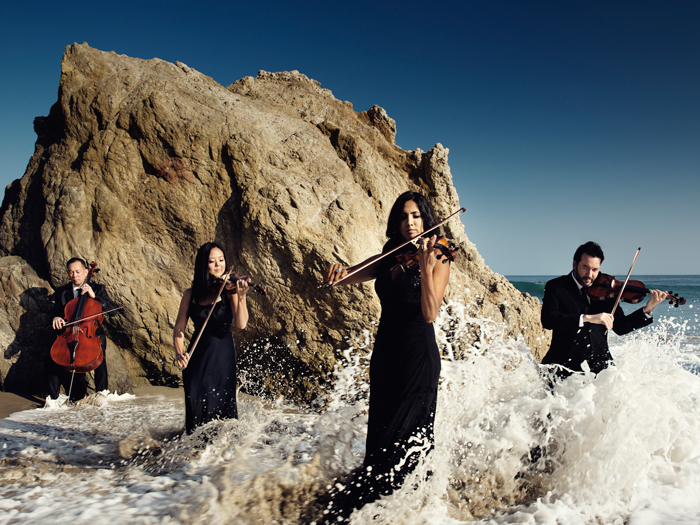 The Lyris Quartet turned Towers' Arctic winds and dark moods into a dramatic spectacle. Violinist Alyssa Park established an enviable international reputation at age sixteen for being the youngest prizewinner in the history of the Tchaikovsky International Competition. 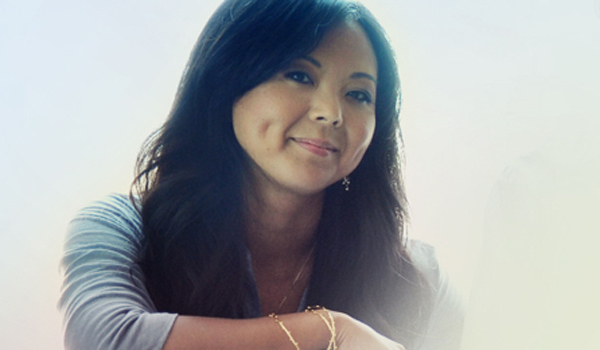 Ms. Park has made numerous recital and orchestral appearances since her professional debut at age eleven with the Cincinnati Chamber Orchestra. She has appeared with the Bavarian Radio Symphony Orchestra, Berlin Radio Orchestra, Frankfurt Radio Orchestra, Lisbon Symphony, Munich Philharmonic, Lausanne Chamber Orchestra, Stuttgart Chamber Orchestra, Czech Philharmonic, Austrian Radio Symphony, Barcelona Orchestra, Mitteldeutsche Rundfunk at the Leipzig Gewandhaus, and the Hamburg Philharmonic. She also performed with the orchestras of Sydney, Adelaide, and Tasmania, Australia. Other seasons included performances in Asia with the Korean Broadcasting Symphony, Japan Philharmonic, and the Singapore Symphony. She also made her debut at Italy's Ravello Festival and Holland's Royal Concertgebouw. An avid chamber musician as well, Ms. Park has been a frequent guest at major festivals including Ludwisburg, Schleswig-Holstein, Weilburg, Passau, Frankfurt, Montpellier, France, Brahms festival in Madrid, Beethoven Festival in Bonn, Prague Summer Festival, and Oregon Festival of American Music. Violist Luke Maurer, a native of Santa Barbara, California, began his musical studies on the violin with his father. He received his B.M. and M.M. degrees in viola performance from the University of Southern California studying with Donald McInnes and Ralph Fielding. Mr. Maurer participated in master classes with the Juilliard, Ysaye and Takacs Quartets, and attended summer festivals at the Music Academy of the West and the Banff Centre for the Arts. He performs extensively throughout Southern California as an orchestral and chamber musician. He is a member of the Pacific Symphony and performs regularly with the Los Angeles Philharmonic. As a chamber musician, Mr. Maurer has performed in the United States, Canada, Europe, and Japan. 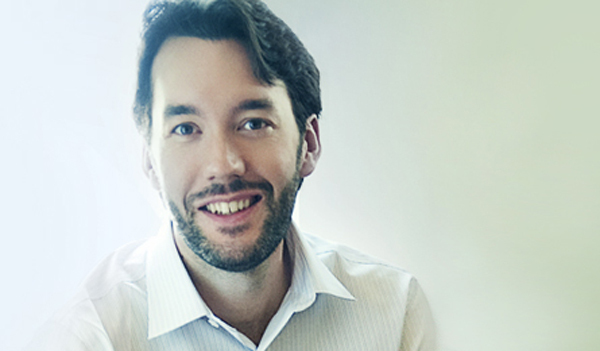 Mr. Mauer is member of the Pacific Symphony and performs regularly with the Los Angeles Philharmonic. He has also served as guest principal violist with Orchestra Ensemble Kanazawa in Japan. 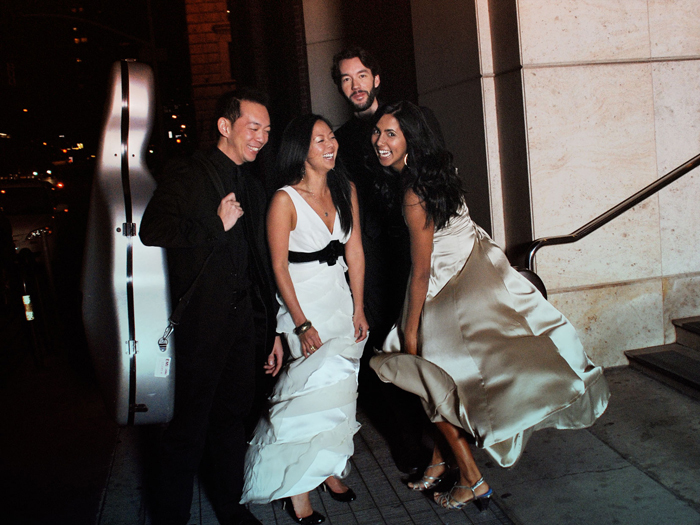 Violinist Shalini Vijayan, deemed "a vibrant violinist" by Mark Swed of the Los Angeles Times is an established performer and collaborator on both coasts. Always an advocate for modern music, Shalini was a founding member and Principal Second Violin of Kristjan Jarvi's Absolute Ensemble, having recorded several albums with them including 2001 Grammy nominee, Absolution. As a part of Absolute, she has performed throughout the United States and Europe, most notably in London's Barbican Hall and the Concertgebouw in Amsterdam. 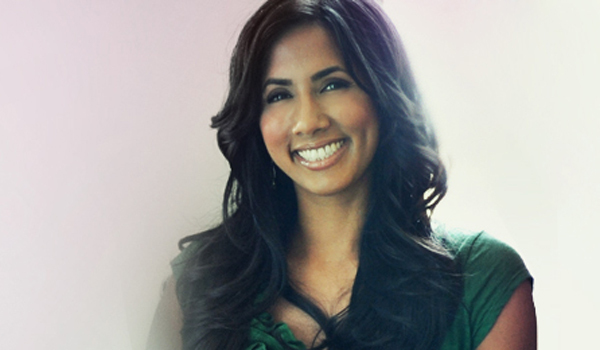 A member of the New World Symphony in Miami Beach, Florida from 1998-2001, Shalini served as concertmaster for Michael Tilson Thomas, John Adams, Reinbert de Leeuw and Oliver Knussen. She was also concertmaster for the world premiere performances and recording of Steven Mackey's Tuck and Roll for RCA records in 2000. 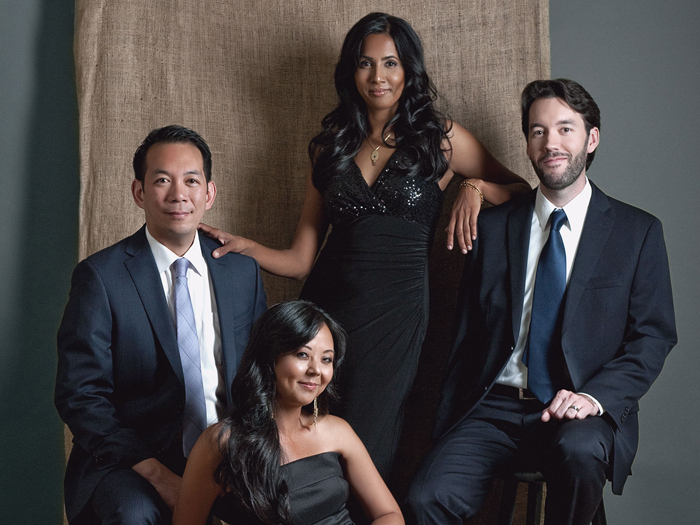 In Los Angeles, Shalini is featured regularly with Grammy Award winning Southwest Chamber Music and can be heard on their Grammy nominated Complete Chamber Works of Carlos Chávez, Vol. 3. Most recently, she has been a featured soloist with the Los Angeles Master Chorale in Chinary Ung’s Spiral XII and Tan Dun’s Water Passion. Shalini is on the performance faculty of the Nirmita Composers Workshop in Siem Reap, Cambodia. 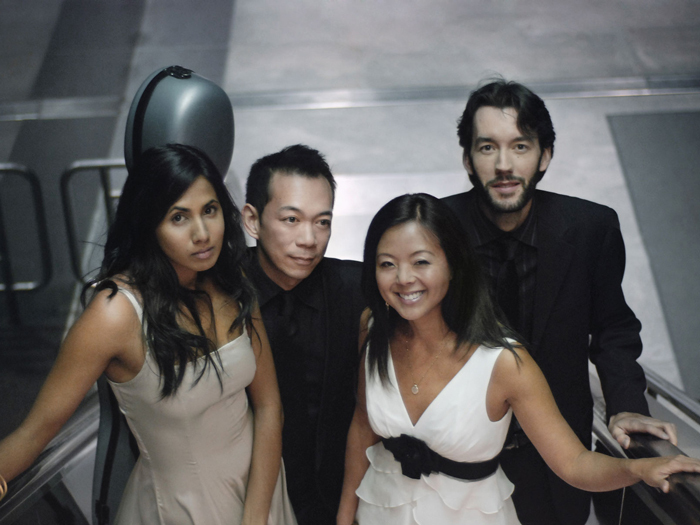 Cellist Timothy Loo joined the Lyris Quartet in 2008. 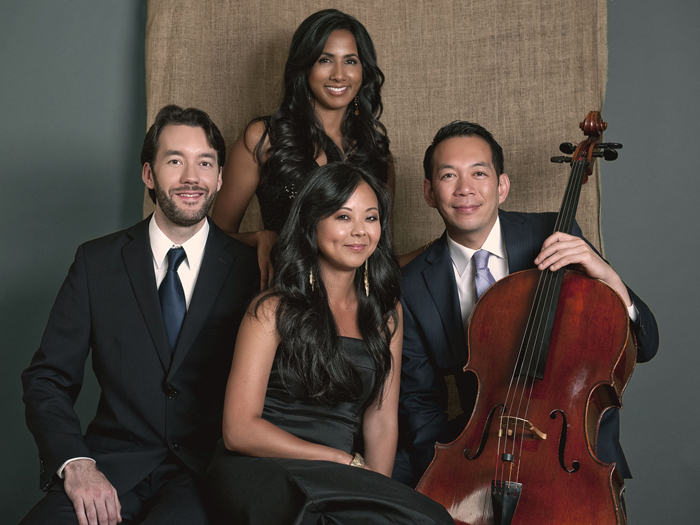 A passionate chamber musician, he founded his first quartet, the Denali Quartet, in 1999 while pursuing his Advanced Studies in Cello with Ronald Leonard at the University of Southern California. As a member of the Denali quartet, he participated in masterclasses with the Julliard, Vermeer, and Takacs Quartets. 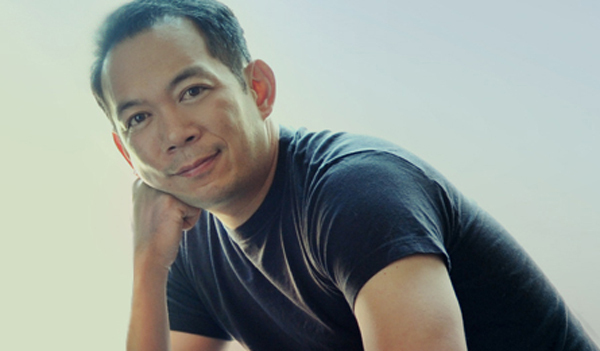 In 1999, Mr. Loo co-founded Mladi, Los Angeles' conductorless chamber orchestra. He performed with this group until 2008. Mr. Loo has performed in the masterclasses for Yo-Yo Ma, Ronald Leonard, David Geringas, Natalia Gutman, Franz Helmerson, and Bernhard Greenhouse. Mr. Loo has won positions in both Philharmonie der Nationen in Hamburg, Germany, Sarasota Opera Orchestra, and New West Symphony. He has also performed with the Los Angeles Opera Orchestra, New West Symphony, Pasadena Symphony, Santa Barbara Symphony, Los Angeles Master Chorale and is currently the principal cellist of the Long Beach Opera Orchestra. focused and marvelously glassy tone, was penetrating. on our upcoming performances and latest news! Use this spam proof contact form to send us a message. 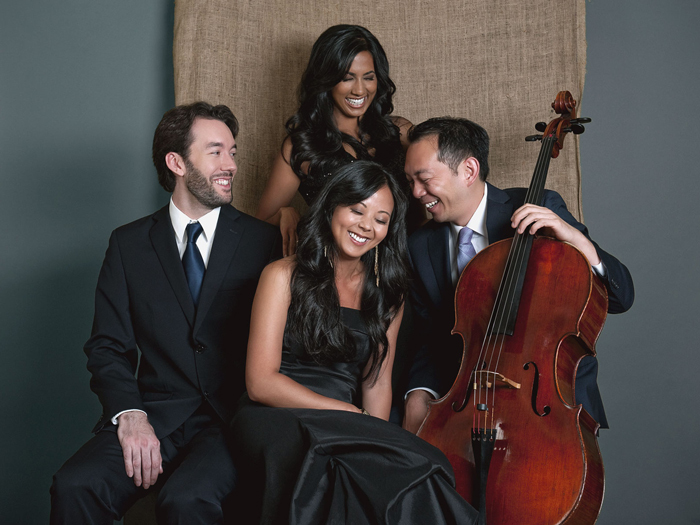 Copyright © 2013 The Lyris Quartet. All Rights Reserved.